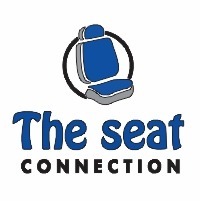 New Seat Sales, Rebuild and Repair of operator and passenger seats. What is The Seat Connection ? Quality service, the secret to our success. Many leading manufacturers of industrial and commercial vehicles have been using ISRI and KAB/Seating seats as their standard equipment for decades. ISRI Seats and KAB Seating are internationally renowned for their quality and safety standards, that’s why we are proud to distribute these seats in South Africa. Our services not only include new seat sales but also the rebuild and repair of operator and passenger seats. This includes ISRI and other makes of seating. While recognising the importance of technological developments and maintaining high quality standards, we place an important emphasis on the appearance of our products. We are proud of all our products. As factory approved distributors we have the necessary expertise, equipment and parts to provide our customers with unsurpassed after sales service.